The Grinnell is a nine-story, triangular apartment building sitting at 800 Riverside Drive, on a plot bounded by Riverside Drive, Edward Morgan Place, and 157th Street. Order a Grinnell Centennial T-shirt, mug, note paper, or mouse pad ! Choose from 8 logo designs and more than 30 T-shirt and sweatshirt styles...all sizes !  Click the centennial logo at right for details. 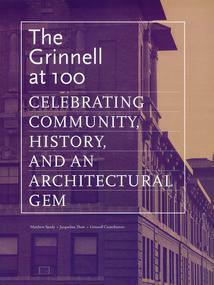 A book celebrating the Grinnell’s centennial and centennial year events. A must-have edition for anyone who has ever lived at the Grinnell, this 100-page, full-color book will also have wide appeal for anyone interested in the Audubon Park Historic District, in Washington Heights, or in New York history. 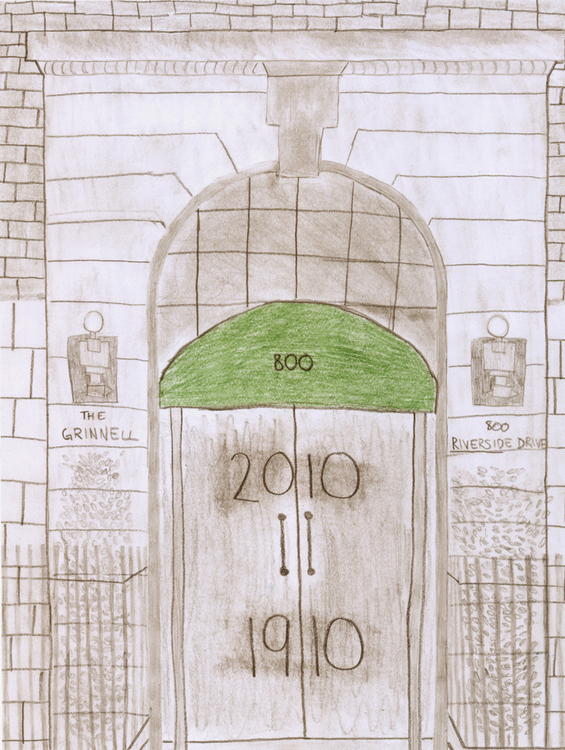 Through a central historical essay, numerous personal histories, brief biographies of noted Grinnell residents, and dozens of photographs and maps, The Grinnell at 100 traces the Grinnell’s half-acre triangular block from primordial forest to 21st Century co-operative apartment house.